When it comes to television production, most people probably think of Los Angeles as being the primary filming location for most television programs. While San Diego is becoming more popular for filming movies and TV, it is still not a primary filming destination for major television production companies. Despite the close proximity to Los Angeles, we find that most production in San Diego focuses on corporate training videos, live streaming and conference videography. Did you know, that once upon a time, a major television production used San Diego as the primary exterior filming location? More specifically, this major television production was filmed in Lakeside, California, which is located about twenty-five miles east of downtown San Diego. Lakeside is historically known as a western town, with two major rodeos being performed annually at the Lakeside Rodeo Grounds and numerous horse ranches and agricultural farms located there as well. The western look and feel of Lakeside fit in perfectly as the backdrop for this television series. What was this major television production that was filmed in Lakeside, you ask? 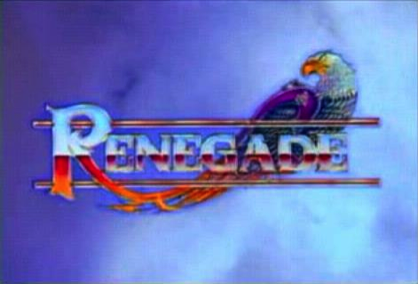 “Renegade,” starring Lorenzo Lamas, used Lakeside, California as the primary shooting location for many exterior scenes. “Renegade” ran for five seasons from 1992 to 1997 and starred Lamas as a former Police Officer who was framed for murder and is now on the run as a bounty hunter. It is an uncommon occurrence for a television series to be filmed in San Diego, and an extremely unusual occurrence for it to be filmed in Lakeside. We hope that more television production companies utilize San Diego as a filming location in the future. In fact, Pixel Productions has been working hard to bring San Diego focused TV shows to the silver screen by shooting footage for a few great concepts in TV that we hope to tell you all about soon.